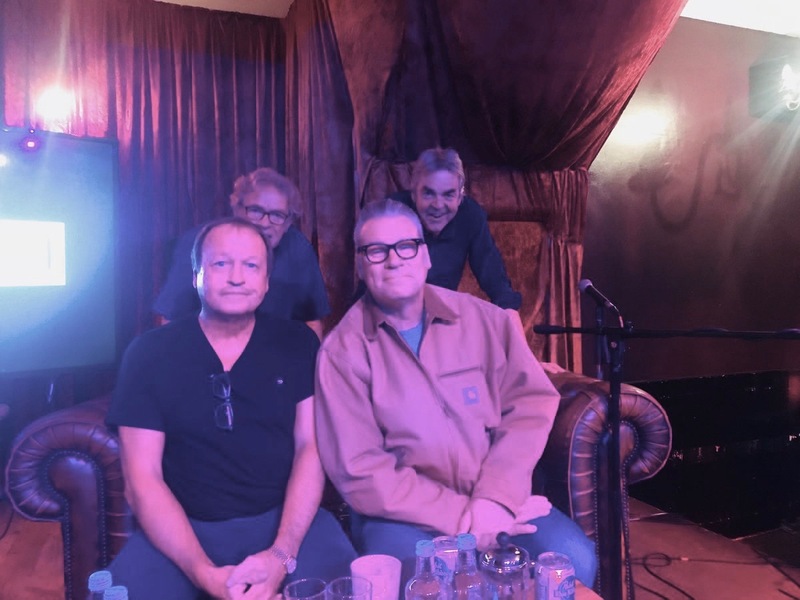 Our guests at Word In Your Ear this week, Mark King and Mark Kermode, have the same initials and play the same instrument. You can hear both conversations here. Kermode was talking about his adventures in a succession of semi-pro bands, which are recorded in his new book "How Does It Feel?". King was talking about his time at the top of the tree with Level 42 in the 1980s. Both had interesting things to say about nerves and stage fright. Kermode realised after he was on the receiving end of a particularly savage audience reaction when trying to work as an alternative comedian that anything that didn't kill him made him stronger. King realised, when he was about to take part in a star-studded Prince's Trust show in the mid-80s, as he looked around and saw the ashen faces of Elton John and Eric Clapton, that nerves are something that never goes away. My kids always say "it's all right for you - you've stood up in front of people lots of times". And I have. It doesn't mean I don't get nervous, just like the other three show-offs in the picture above.